Ginger is a hot, fragrant spice made from the rhizome of a plant, which may be chopped or powdered for cooking, preserved in syrup, or candied. An Asian plant, which resembles bamboo in appearance, from which ginger is taken. It is an essential ingredient in cooking, and although most of us pick it up at the store, you actually can grow it at home. In fact, you can start your own ginger plant. Ginger is a common ingredient in Asian and Indian cuisine. However, it has been used for its medicinal properties for centuries among many cultures. Let’s see some of the amazing health benefits of ginger here on this page. Since ancient times, people have turned to ginger as a cure-all for everything from pain to nausea. Studies have shown that ginger can be a very effective treatment for some kinds of stomach upset. You can try ginger capsules, drink ginger tea or ginger ale made with real ginger root, or you can chew a piece of ginger root. 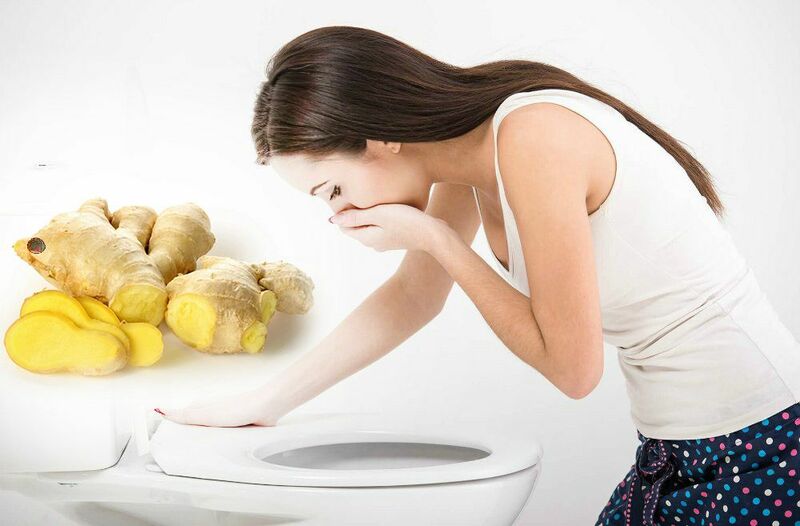 Ginger promotes the secretion of saliva in the mouth, promoting the secretion of various digestive enzymes and juices that neutralizes the stomach acids and aids in proper digestion. It has phenols that help to relax the stomach muscles. It contains certain chemicals which help to influence the nervous system, stomach and intestines to reduce the nausea feeling. Ginger has demonstrated a success rate of 75 percent in curing morning sickness and stomach flu. A survey of studies that looked at the benefits of ginger in relieving pregnancy and surgery-induced nausea found patients got significant relief with almost no side effects. 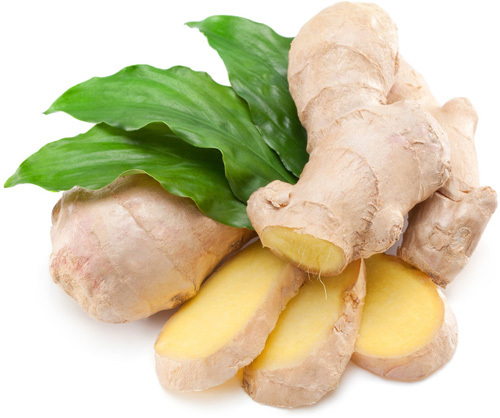 Chewing raw ginger or drinking ginger tea is the common home remedy for nausea during cancer treatment. Pregnant women experiencing morning sickness can safely use it to relieve nausea and vomiting, often in the form of ginger lozenges or candies. Many studies have suggested that increasing consumption of plant foods like ginger decreases the risk of obesity, diabetes, and heart disease. Ginger has been used for its medicinal properties for centuries. Ginger has been used for centuries to reduce inflammation and treat inflammatory conditions. Researchers on the study explained that by decreasing inflammation, the risk of colon cancer is also likely to decrease. Using fresh ginger is an easy way to flavour foods and drinks without adding unnecessary sodium. Since it is often consumed in such small amounts, ginger does not add significant quantities of calories, carbohydrate, protein or fibre. It produces a hot, fragrant kitchen spice. Young ginger-rhizomes are juicy and fleshy with a very mild taste. They are often pickled in vinegar or sherry as a snack or cooked as an ingredient in many dishes. It can be made into candy, or ginger wine, which has been made commercially since 1740. It also has a role in traditional Ayurvedic medicine. It is also consumed in a candied and pickled form. It is also used as a spice added to hot coffee and tea.